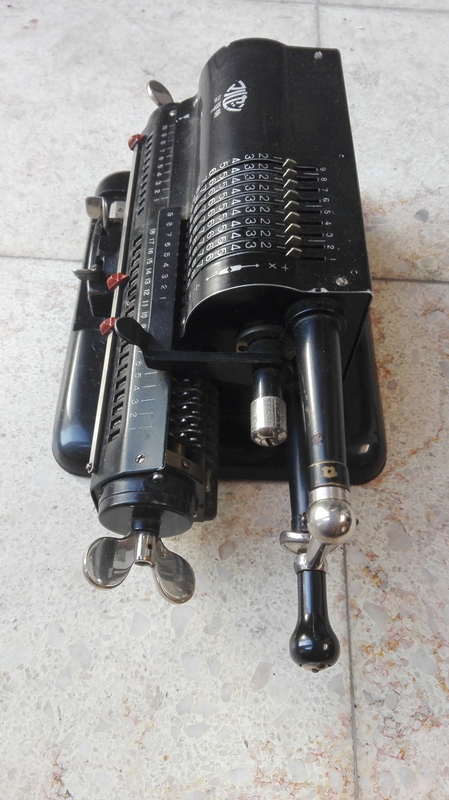 Another strange and wonderful Japanese calculator, by the Maruzen Calculating Machine Company. 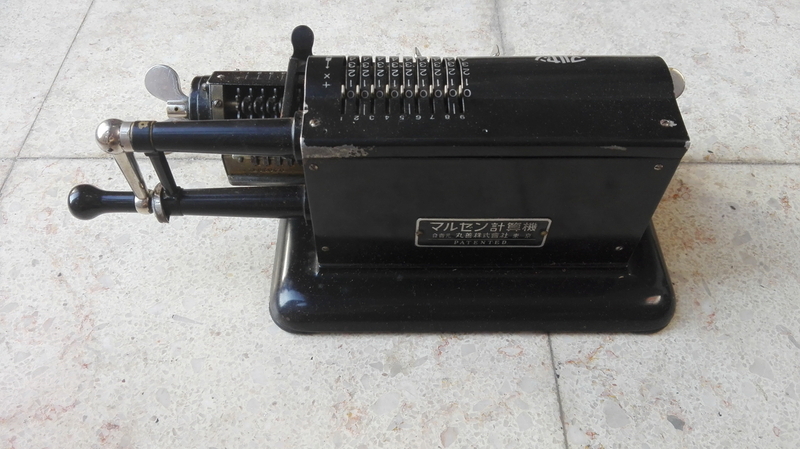 X-number tells us that this company resulted from a merger between the Taijo Calculating Machine Company and Maruzen in 1939. 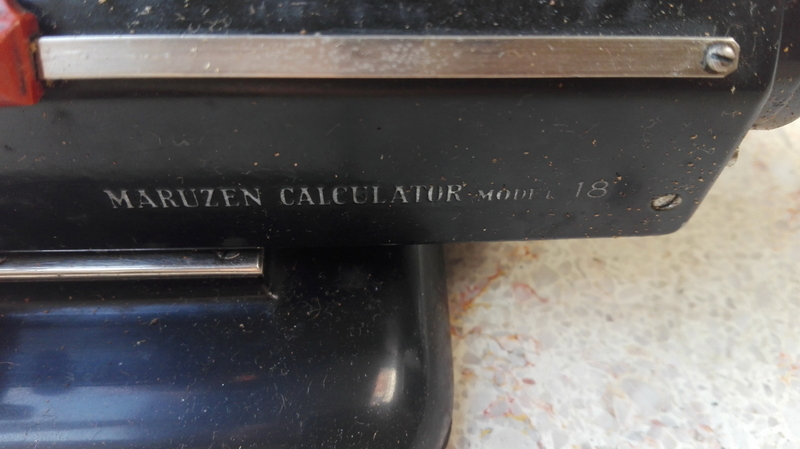 In 1951 Maruzen sold the calculator business and Taijo was re-incorporated. 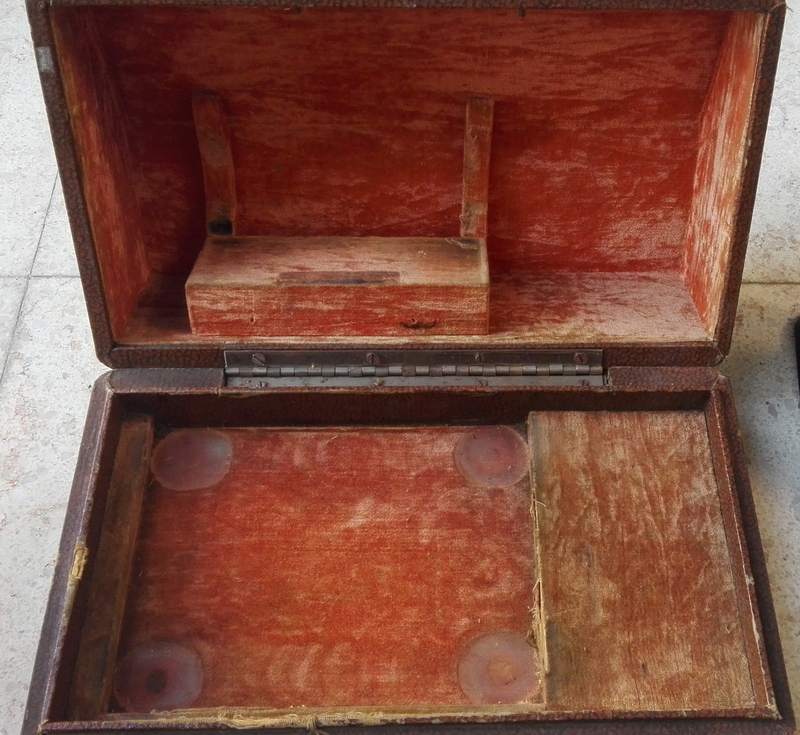 This is a model 18 according to what's on the front, and came in it's own velvet lined fitted box, very similar to the Tiger machine I also have. 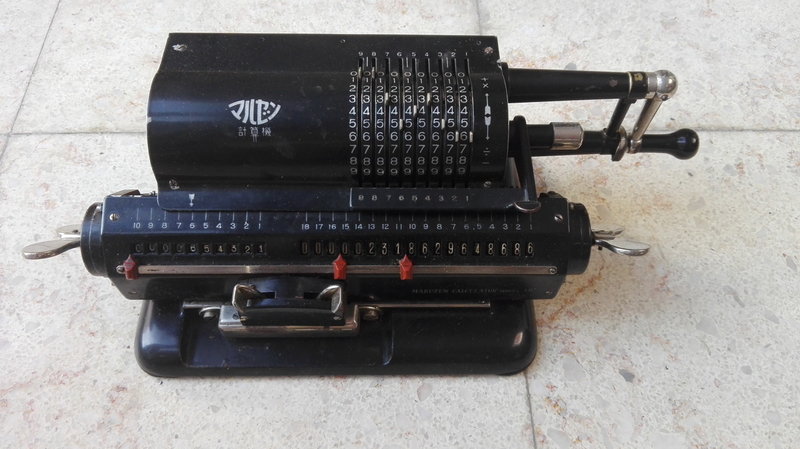 It has many elements from many well-known European calculators: the carriage shift is very similar to what Thales used, and completely identical to the one on my later Taijo, which indeed indicates Taijo and Maruzen machines come from the same nest. 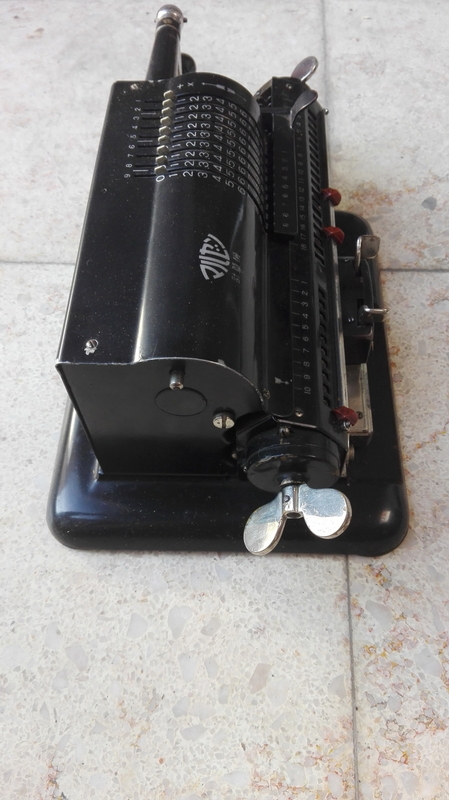 The register clearing is the Odhner half-turn quick clearing with sprung wingnuts. 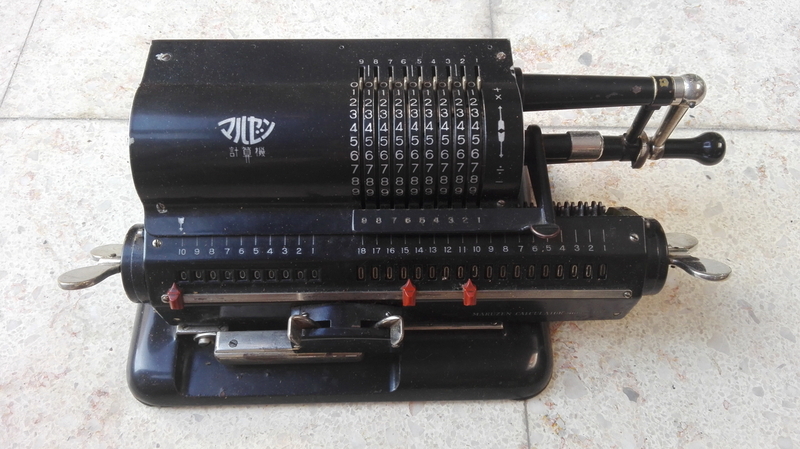 The calculator is very light in operation, both setting the pins and turning. 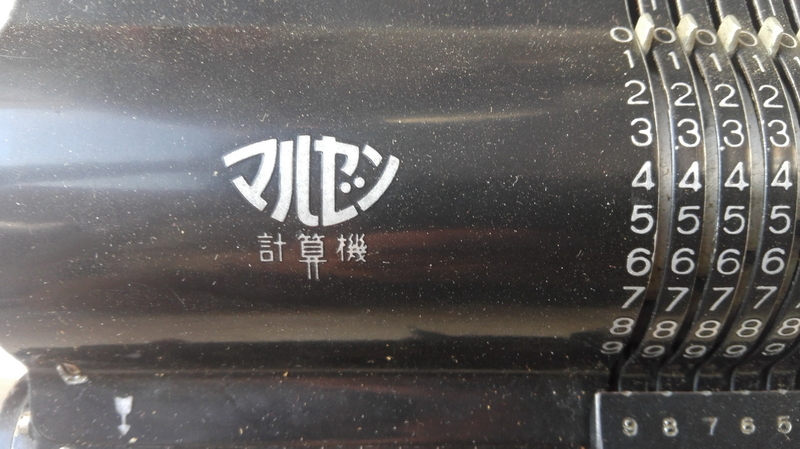 It does not have tens' carry in the revolution counter, and in addition, which is very strange, the numbers that appear if you turn the machine in the negative direction are the same colour as the ones in the positive direction - white. So at first sight it is not obvious at all if you subtracted or added, or heaven forbid, used shortened multiplication, in which case you're thoroughly screwed. 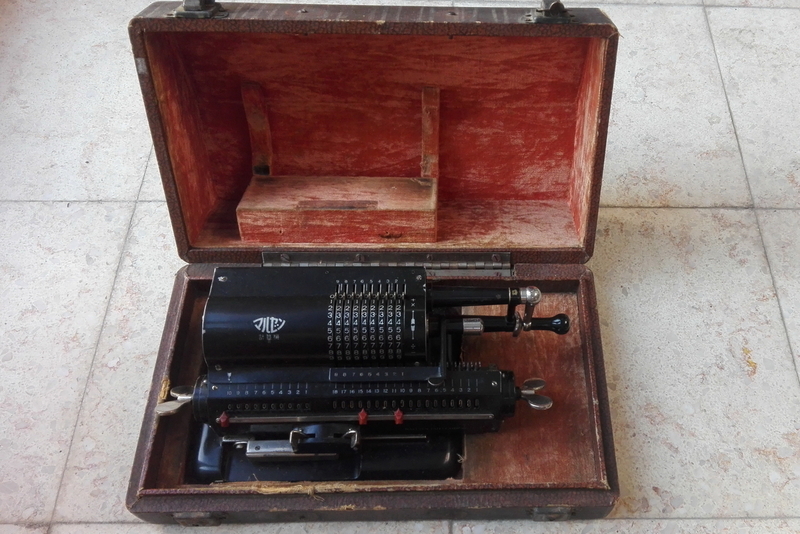 Odd - but it is a pretty machine! 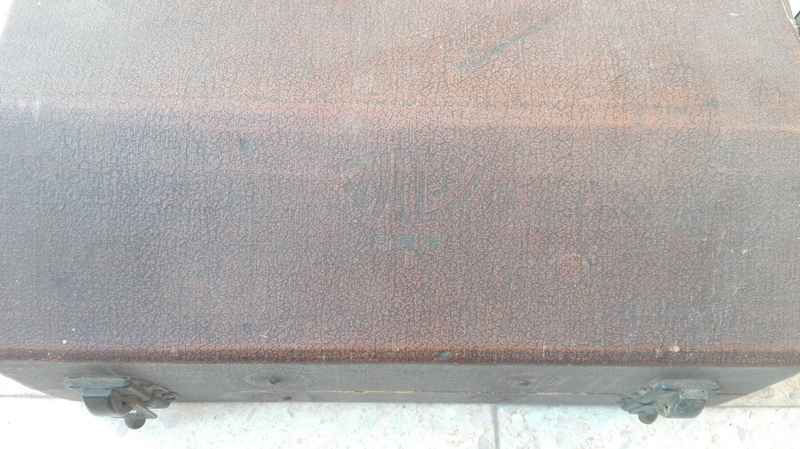 Its serial, 182040, could point to it being the 2040th machine built of the model 18. A nice coincidence is that 2040 is also the postal code of the village where I live!